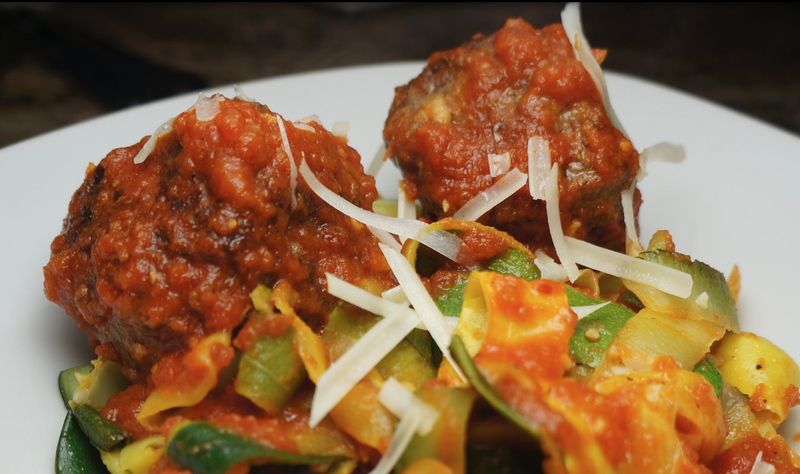 Mix it all together in a bowl and roll these babies up into meatballs. I decided to make big ones, so it made about 5 large meatballs. You can cook them on the stove with some butter/oil/ghee but mine were pretty big so I browned them in an oven-safe pan and then put it in the oven at 400 degrees for about 20 minutes until they were cooked to 170 degrees. When they were done, I added them to a pot of sauce I was cooking for a few minutes. 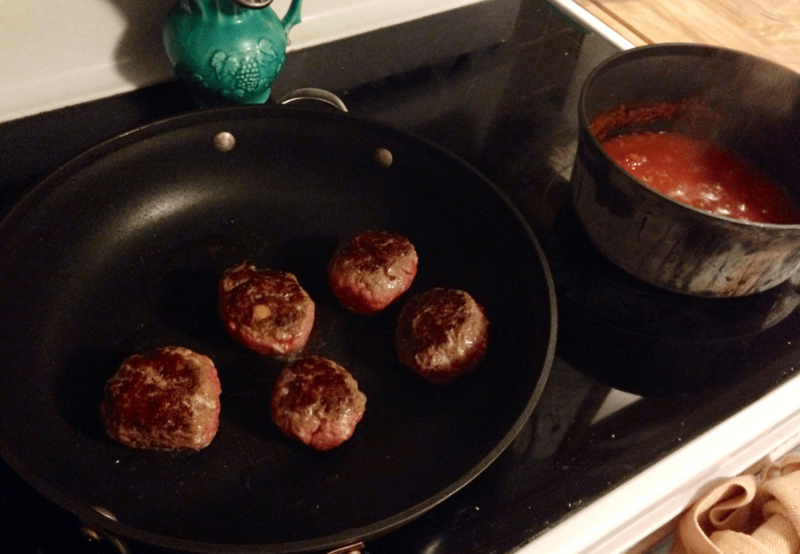 These were, by far, the most moist meatballs I’ve made on keto so far. The mozzarella really softens the whole joint up while adding flavor. From now on this is how I make meatballs! I served them with yellow and green squash noodles, made almost exactly (no lemon) the same way as they were in my lemon cream squash ribbon pasta and garlic lemon squash pasta. They were topped with Rozzano Marinara, which I found at BJ’s and only has 2 net carbs per serving.